Learn everything you need to know about virtual reality and how to use it for business. Imagine your favorite vacation. Where was it? What did you do? Who went with you? How was the weather? What were you wearing? Can you remember every little detail? If you're anything like me, you can remember the overall vacation, maybe some specific moments here and there, but most of the fine points have faded. It's a bummer, right? But while most people associate virtual reality (VR) with gaming and tourism, it's currently used for a wide variety of applications. From medicine to marketing, there is no limit on what you can do with this technology. OK, you're probably thinking, "I've seen these wacky headsets, but what is virtual reality (VR)?" Let's break it down. Virtual reality is an immersive experience achieved by viewing three-dimensional images through specific hardware like a VR headset. VR allows users to escape to an alternate reality by creating a seemingly real interactive environment. Virtual reality may seem like the hottest new piece of technology, but in fact, it was used long before innovators coined the term. That's right, people have been obsessed with the idea of escaping reality and entering immersive experiences for decades. In fact, 360-degree murals from the 19th century could be considered some of the earliest attempts at virtual reality. The paintings aimed to make viewers feel like they were present in the scene. When you think about the amount of urbanization and cultural change that took place during the 1800s, it's no wonder why people were so interested in visualizing different cities and civilizations. But to understand modern virtual reality, we have to travel back to the 1930s. Several years later, Sawyer’s View-Master debuted at the World's Fair in New York. The childhood toy was a pair of plastic binoculars that allowed users to view single 3D images by inserting stereoscopic reels. In 2015, Mattel announced that sales had reached 100 million devices. Throughout the 1960s and 1970s, engineers created several variations of VR headsets, but it wasn't until the 1980s that people started using the name virtual reality. In 1987, Jaron Lanier coined the term while developing numerous VR accessories at his company VPL. And inventing the name virtual reality isn't the only thing VPL is known for — the company also made history by becoming the first to sell VR goggles and gloves. Over the next decade, VR wiggled its way into mainstream entertainment as users interacted with it in arcade games and gaming consoles. VR was so popular in the 1990s that Hollywood made a blockbuster hit about the technology — "The Matrix". In the 21st century, we’ve seen rapid advancements in virtual reality. 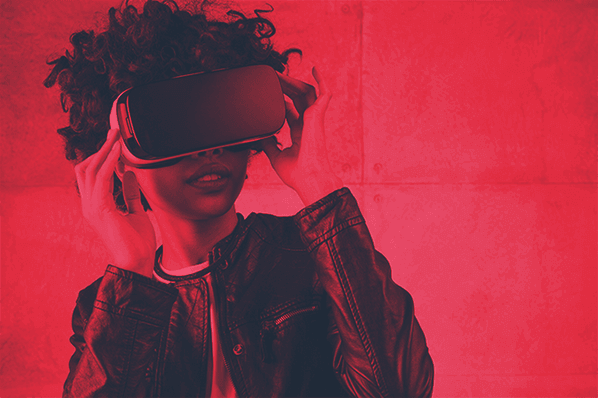 Facebook, Google, Samsung, and Microsoft have all started developing their own VR devices, and with the rise of smartphones, it has never been easier for users to have an entirely immersive, interactive experience. By now you know that virtual reality can instantly transport you to the moon or the bottom of the ocean, but how does it work? The most common types of virtual reality rely on headsets so we'll start there. Virtual reality head-mounted displays, or HMDs, create immersive experiences with the help of two tiny screens — one for each eye. HMDs are also known as a stereoscopic display. Each screen shows images at a slightly different angle from the other to imitate depth. Virtual reality headsets use foam or other materials around the edges of these screens to block out all external distractions like the light. We've covered some ins and outs of virtual reality, but you may still be thinking, "all of this still sounds a lot like augmented reality." So what's the difference? Augmented reality (AR) is essentially the precursor to the fully immersive VR experience. In simple terms, augmented reality (AR) is an embellished or altered form of reality where content lays over users' real-world views. The less intrusive technology allows people to add digital assets to their physical environment. In comparison, VR actually makes the user feel like they're in a completely different world by creating a new digital experience. When using VR, what you see and experience is different from what's actually around you. Most importantly, VR experiences always need to be designed with your audience in mind. Before you dive into creating an expensive VR experience, think about why you need VR over another type of content like video. Remember that people have almost 180 degrees of vision and unlike standard video, VR requires a 360-degree view. It's also essential to consider motion sickness when designing a VR experience. Because the platform completely alters people's perception and senses, it can cause some viewers to feel nauseous. Try filming fairly still shots so viewers can interact with the content at their own pace. And VR isn’t just used by consumers. Walmart is using the technology to help train its employees. According to Forbes, “Soon, all 200 of the company's U.S. training centers will use VR instruction to educate the estimated 150,000 employees going through the program annually.” VR training will help ensure that all Walmart employees receive the same level of training and development. 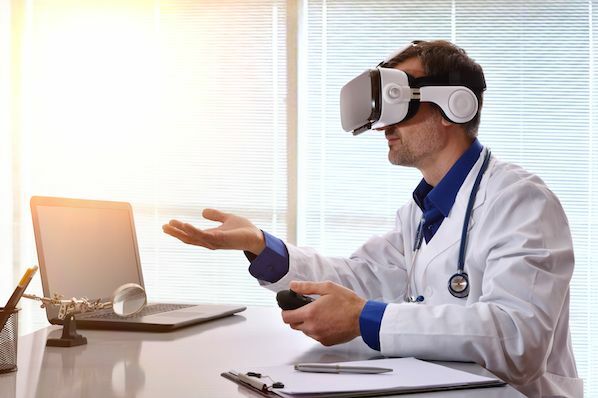 VR is also being used by doctors, architects, educators, and other professionals to practice complicated procedures and learn challenging subjects. A recent study found that “93% of teachers say their students would be excited to use virtual reality, and 83% say that virtual reality might help improve learning outcomes." For people who are visual learners or have learning disabilities, VR could present a new, viable substitute to traditional learning methods. VR is used to encourage tourism in places ranging from Australia to the state of Delaware. In addition to attracting visitors, VR also helps travelers plan their trips. In 2017, Expedia introduced VR "try before you buy" experiences for select hotel rooms booked through the site that allows viewers to take a virtual walk around the room and even sample the view outside. If you're like me, you'd never buy a car without test driving it first. The test drive is the only way to get a feel for the car. But it may not be the only way for long. Volvo’s EX90 experience allows users to take a virtual ride in their newest car using a VR device or their phone. While VR may not entirely replace a test drive, this teaser could help bring more people to dealerships to see the car in person. In addition to bringing in new customers with immersive product trials, VR can also help retain existing customers by keeping them happy. How many times have you been on a customer support call where you wish the other person could see what you're seeing? With virtual reality, that's now possible. By simultaneously viewing the same experience, issues can be resolved faster and with less frustration. OK, you're probably getting pretty excited to start experimenting with VR, but before you go out and create your own VR experience, there are a few important facts to consider. The reality of virtual reality is that it may not make sense for all SMBs. Because VR requires specialized hardware to create and use, it's more expensive to develop than alternatives like augmented reality. The number of VR users, while growing rapidly, is also still relatively small with only a couple million VR headsets currently in use. For most businesses, the costs to create custom experiences for this limited audience probably isn’t worth it yet. Virtual reality has a long way to go before it's entirely part of mainstream content, but many companies using the technology are already seeing impressive results. Growing companies should keep up with the technology as it develops and continue to look for opportunities to create a VR experience. While it doesn't make sense for every business to invest in VR now, new advancements could make it easier (and cheaper) to create content in the future. Virtual reality presents users with the fantastic opportunity to immerse themselves in entirely new experiences. 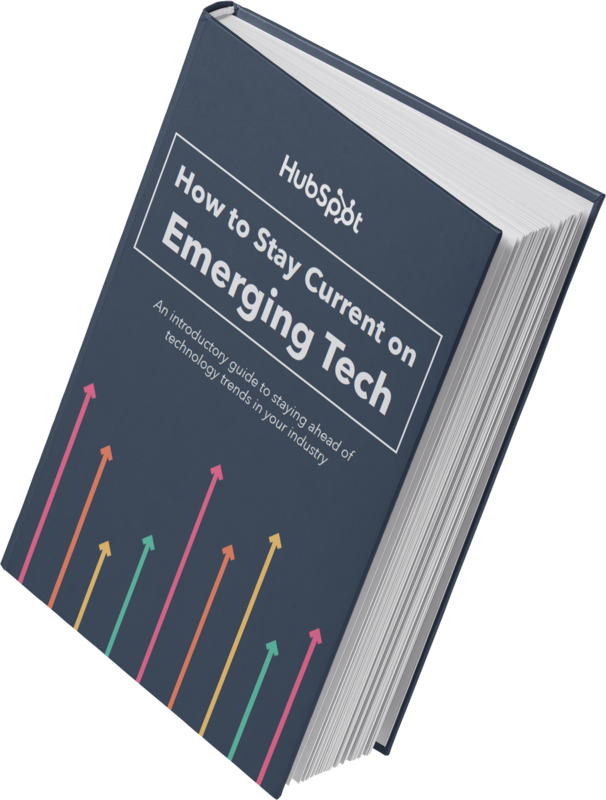 It may take awhile for consumers to adopt this technology, but we only see it continuing to grow in popularity. After all, who couldn't use a break from reality?